It’s been almost a year since the Indian National Defence University (INDU) bill has been drafted. Last year, on 5th August, the bill went online at MyGov.in and the website of Ministry of Defence for six weeks for public consultations. The draft bill proposed to establish a world class fully autonomous institution under Ministry of Defence. INDU is proposed to be governed by its own norms and will inculcate and promote coordination and interaction between the Armed Forces and other Government Agencies including friendly foreign countries. The idea of National Defence University was conceived way back in 1967 by the Chief of Staff’s Committee. Fifty years have passed since then but the idea hasn’t been implemented yet. Though, the process of implementing the idea, itself has a long history. For nearly three decades after 1967, nothing much happened on this issue. It was only after the Kargil war in 1999 that this idea was taken seriously by the government. A committee on the National Defence University (CONDU) headed by the late K. Subrahmanyam was created. This committee (Kargil Review Committee) submitted its report in 2002 and provided the rationale for creating a National Defence University. The border standoff between Indian and Chinese troops on the remote Doklam area in the Himalayas is approaching the two-month mark with no end in sight. Simultaneously egged on and hemmed in by nationalistic fervor at home, neither government can afford to back down, making escalation a real risk. India’s national security adviser, Ajit Doval, met with China’s state councilor, Yang Jiechi, and President Xi Jinping at the end of July, but the two sides failed to reach an agreement to quell the border row. The most serious dispute between India and China in decades, the standoff at Doklam represents a shift in ties between Asia’s two primary powers, with India acting more forcefully to counter Chinese influence and activities in South Asia. New Delhi’s bold decision to confront Chinese troops at Doklam—an area near India’s so-called tri-border with China and Bhutan—surprised and angered Beijing. 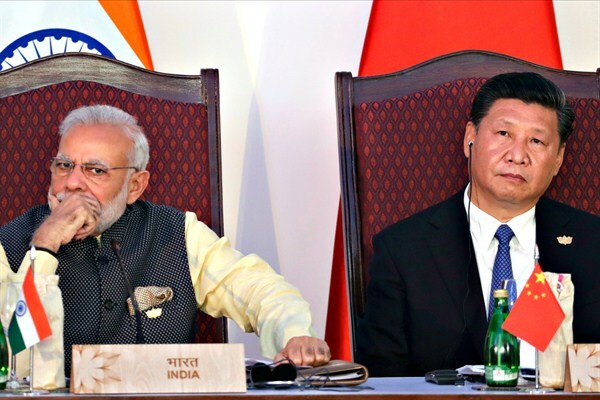 While India may have succeeded in standing up to China in the short run, the endgame remains unclear and fraught with danger. Even if a peaceful resolution is achieved quickly, the China-India relationship, complicated under the best of circumstances, has entered a new, tenser stage. New Delhi’s actions are noteworthy—and this standoff unlike previous border incidents between India and China—because India does not actually have a direct claim to Doklam, which is instead territory claimed by both China and Bhutan. On June 16, Chinese engineers started building a road in Doklam. Two days later, on Bhutan’s behalf, Indian troops crossed India’s border to stop the construction work. Around 300 troops from India and China have been facing off since. China has demanded that Indian troops withdraw first, while India has called for joint withdrawal. There is a geographical and geopolitical aspect to the ongoing Sino-Indian standoff in the Doklam region. Geography locates Bhutan on a sensitive part of the Himalayan belt. 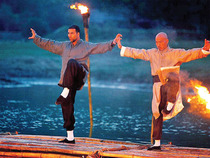 Its history, small size and state capacity have made it an element in the geopolitical contest between India and China. The Doklam issue came to the fore between June and July this year almost without preamble. Since the clashes at Nathu La and Cho La in 1967, this border had been relatively quiet as the alignment of the Sino-Indian border in Sikkim is, to a large extent, accepted by both sides. However, there has always been a pr oblem with the China-India-Bhutan trijunction. In 2007, India rushed the deployment of forces to the region following the destruction by China of a number of Indian bunkers in the Batang La area. China also laid claim to the 2.1-sq km “Finger Area” in north Sikkim that protrudes into the Sora Funnel and dismantled some cairns marking the border in the region. This story would be repeated in 2012. The ongoing crisis has amplified the question-mark over where that trijunction lies. Indian and Bhutanese maps put it some 200 metres south-east of Batang La, while the Chinese say it is at a place called Gipmochi which is also confused for Gyemochen (or Gamochen). As of August 2, the Chinese say that the name of the mountain is Ji Mu Ma Zhen. The Doklam standoff on the tri-junction of India, China and Bhutan is well into its second month and Beijing continues with its hardline position and refuses to negotiate on equitable terms. What it aims to gain out of this crisis has been subject to much speculation in New Delhi. Most likely, it hopes to peel Bhutan away from India’s orbit. However, perhaps it should recall the last Doklam crisis between India, China and Bhutan in 1966. That imbroglio only ended up strengthening the India-Bhutan alliance. Sino-Bhutanese relations first took a nosedive in the late 1950s, mirroring the growing tensions between India and China over their boundary dispute. From 1958, Chinese maps began showing large swathes of Bhutanese territory as part of China. In 1959, as it suppressed the Tibetan rebellion, China also took over certain Bhutanese enclaves in Tibet. At the same time, around 4,000 Tibetan refugees entered Bhutan, straining the country’s limited economy. Thimphu viewed these developments with alarm and responded by closing its northern border. It also moved closer to India and embarked on an ambitious project to modernize the country’s military and economy. While it had a special treaty relationship with New Delhi since 1949, the two countries did not share any formal defence arrangement until then. Fear of China changed the situation. The Indian Army began training Bhutanese forces. India also began pouring in economic aid into the country (increasing it by 1,000%), most of which went into building roads and airfields of strategic value. New Delhi: The Bhutanese government has once again reportedly referred to its foreign ministry statement issued about six weeks ago that Doklam is Bhutanese territory, thereby rejecting a recent Chinese claim that Bhutan had agreed the area belongs to China. In that initial statement issued on June 29, Bhutan had said it had conveyed to the Chinese side on the ground and through diplomatic channels that the construction of the road inside Bhutanese territory (Doklam) is a direct violation of the agreements (between Bhutan and China) and affects the process of demarcation of the boundary. Also, Bhutan had called for status quo in the Doklam area to be maintained as before June 2017. Bhutan had accused China of violating the boundary agreements and asked it to refrain from taking unilateral action or use of force to change the status quo of the Bhutan-China boundary between the two countries, saying that on June 16, 2017, the Chinese People’s Liberation Army (PLA) started constructing a motorable road from Dokola in the Doklam area towards the Bhutan Army camp at Zompelri. One of the most famous comments from the Bush era, running from 2000 to 2008, came from then-Secretary of Defense Don Rumsfield who talked acerbically about “known knowns, known unknowns, and unknown unknowns.” His convoluted language was interpreted at the time as referring to the complete mess that was starting to unfold in the newly “liberated” Iraq. Even so, many realized that there was ironically a deep logic behind what he said: some things we know, and some we don’t. It is better at least to recognize the vast expanse of our ignorance than simply trying to go around ignoring it. But on top of these issues, there are three very clear known unknowns about China – things where we have lots of evidence and analysis, and plenty of observations, but which we have no way of decisively resolving now. These known unknowns all relate to China’s relationship with the outside world. 'In India, China's capacities to conduct new types of warfare is critically underestimated,' says Claude Arpi. The North Korean nuclear threat is a “hinge” moment for the United States and China, and for the new international order both nations say they want. Washington’s diplomatic goal, although it hasn’t been stated publicly this way, is to encourage China to interpose itself between the United States and North Korea and organize negotiations to de-nuclearize the Korean Peninsula. The U.S. threat is that if China doesn’t help the United States find such a diplomatic settlement, America will pursue its own solution — by military means if necessary. What can the U.S. military learn from Israeli military operations in Gaza? Plenty—and yet not much, according to a new study by RAND Corporation, which examined Operation Cast Lead in 2009 and Operation Protective Edge in 2014. For starters, smart weapons are no panacea. The Israel Defense Forces (IDF) attempted to destroy Hamas rocket launchers and tunnels with airpower alone (surprising in light of the failure of such an approach in the 2006 Lebanon War). Lack of success meant ground troops had to be sent in. The narrative about North Korea, a narrative I believe to be true and have since early March, is simple: The North Koreans have reached a point in their nuclear and missile programs where they could soon have the capability to strike the United States. The U.S. isn’t prepared to let itself be vulnerable to the whims of what is seen as a dangerously unpredictable regime in Pyongyang. Therefore, the U.S. is prepared to strike at North Korea’s nuclear and missile facilities. At the same time, the U.S. is extremely reluctant to attack. The nuclear program sites are dispersed and hardened, making airstrikes difficult, and North Korean artillery concentrated near the demilitarized zone could devastate Seoul. So as it considers not just whether a strike should be made, but whether one is even possible, the U.S. has been trying to motivate China to use its influence in North Korea to get Pyongyang to halt its weapons development. The U.S. position is that a strike will take place if diplomacy fails, but also that a conflict with North Korea would be difficult, dangerous and potentially devastating to allies. Thus, the U.S. is postponing such an action as long as possible. As time passes, it is important to re-examine old assessments. The United States didn’t suddenly in the last few months conclude that an attack on North Korea was dangerous. 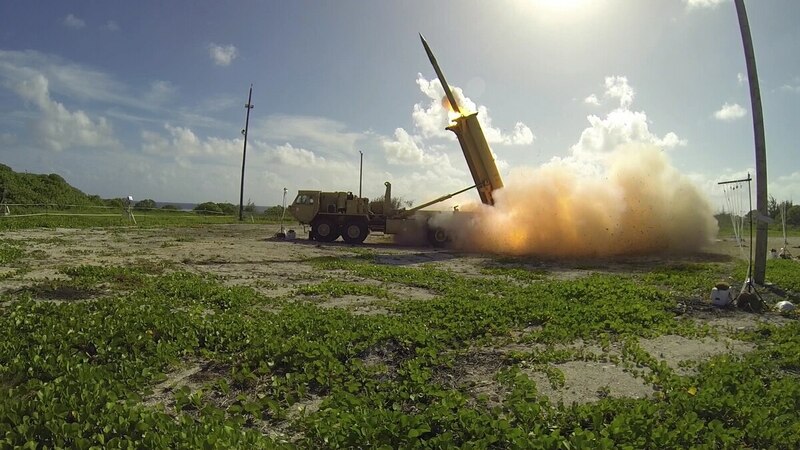 The Americans had to have known the North Korean nuclear development program was dispersed and hardened, and they have publicly spoken about the artillery threat to Seoul. But they might have been galvanized by indications that the North Koreans had a miniaturized and ruggedized warhead and were close to having an intercontinental delivery capability. Given the degree of U.S. focus on North Korea, however, the appearance of sudden apprehension is odd. WASHINGTON — I last visited Russia in October to do research for a study of American-Russian relations. I returned home just before the election of President Trump, recognizing that the relationship was in terrible shape and heading steadily downhill. It continues on that trajectory, with Russia’s demand that the American diplomatic mission reduce its staff by 755 employees, in response to new sanctions imposed by Congress that were signed last week by President Trump. That October trip and succeeding events raise important questions: Where does the United States want this to go? What is our vision of an acceptable end point? More than six months into the Trump administration, there are no answers. A week before my trip, on Oct. 7, James R. Clapper Jr., then the director of national intelligence, and the Department of Homeland Security issued the first official American statement that Russia was interfering in our election process. When I and my colleagues confronted Kremlin and Foreign Ministry officials with this, they (as expected) adamantly denied it. They launched into the Kremlin narrative, arguing that the United States is responsible for any problems in the Russian-American relationship. They denounced American policies on NATO enlargement, the Balkans, Libya, democracy in former Soviet states and Syria, to mention just a few. "North Korea best not make any more threats to the United States. They will be met with fire and fury like the world has never seen." (Donald Trump, August 8) Secretary of State Rex Tillerson’s plaintive words about the United States not being North Korea’s enemy (August 1), or his reassurance that the military option has not drawn closer (August 9), do not count much, partly because he does not count much in American foreign policy these days, and partly because in this administration above all, only the president counts. They do, however, confuse the message of an already chaotic administration. With each passing day, the possibility of open warfare breaking out seems to increase as each side ups the ante. Indeed, President Donald Trump has ratcheted up his rhetoric in recent days—seemingly threatening to launch a nuclear first strike against North Korea. Just hours later, Kim Jong-un’s regime in Pyongyang threatened to preemptively strike at American forces given even a “slight sign of the U.S. provocation.” That, according to the North Korean statement, would include a “beheading operation” such as a special operations forces raid aimed at assassinating Kim. Why does Congress continue to play chicken with the debt ceiling? Not only is it dangerous, but it is counterproductive. The uncertainty surrounding raising the debt ceiling causes borrowing costs to rise, and it can affect the U.S. government’s credit rating as witnessed with the S&P downgrade in 2011. Moreover, it calls into (further) question the ability of Congress to accomplish even the relatively simple task of keeping the government funded. And this could spark a shift in sentiment for the worse. This is where the real danger lies. So, what happens if Congress fails to raise the debt ceiling before the late September or early October deadline? Technically, the U.S. Treasury will likely delay payments to vendors and employees to avoid missing a payment on its debt. This will keep the United States from technically defaulting on its debt. In that sense, the debt ceiling may not be a frightening prospect. The debacle in 2011—when the U.S. government found its debt downgraded—proved to be largely a non-event. In fact, the ten-year yield on government debt is lower today than following the downgrade. There was little tangible effect on the U.S. government’s ability to borrow (though bond markets have been dominated by central banks in the intervening years). Oddly, the consequences of the downgrade are difficult to spot. The battles of tomorrow have already begun today. Threats facing the United States continue to multiply across state and non-state conflicts, yet these challenges come from more than hostile narratives and power politics. Violent conflict has deep roots across societies, ideologies, and the political systems that support them. This fact goes beyond individual countries or histories. We see it in the long-silent fields of the Somme, burned out villages in the Nigerian jungle, and the once vibrant Aleppo reduced to smoldering ruin. Thus, despite centuries of peacemaking efforts, the nature of war remains a fixed point in reality. Whether fought for the glory of the nation or expectations of eternal bliss, human nature and its connection to organized political violence have been a constant throughout social changes over the centuries. As disheartening as that is, changes continue to occur in the character of war, in both the means of violence and the context in which it occurs. Past changes were more than simply the advent of gunpowder that relegated armored knights to the annals of European history, or industrialization of troop movements through railroads and motorized vehicles on land and in the air. Those made tremendous differences in the locations of war, as much as in the lethality of warfare in general. Yet the biggest changes to the character of war seem to be ahead of us as the 21st century opens what looks like Pandora’s Box. How did the IDF operate in Gaza? What strategic, operational, tactical, and technological lessons did the IDF learn about urban operations from their experiences in Gaza? What lessons can the joint force — and the U.S. Army in particular — learn from the Israeli experience? intense international legal public scrutiny and the hard operational realities of modern urban warfare. In this respect, this report's title — "From Cast Lead to Protective Edge" — captures more than just the names of the two operations that chronologically bracket its scope; it also describes the tension the IDF confronted between the military necessities driving maximalist uses of force and the political imperative for more restrained operations. This report draws a series of lessons from the Israeli experience for the U.S. Army and the joint force: from the importance of armored vehicles and active protection systems to the limitations of airpower in urban terrain and of conventional militaries to deter nonstate actors. 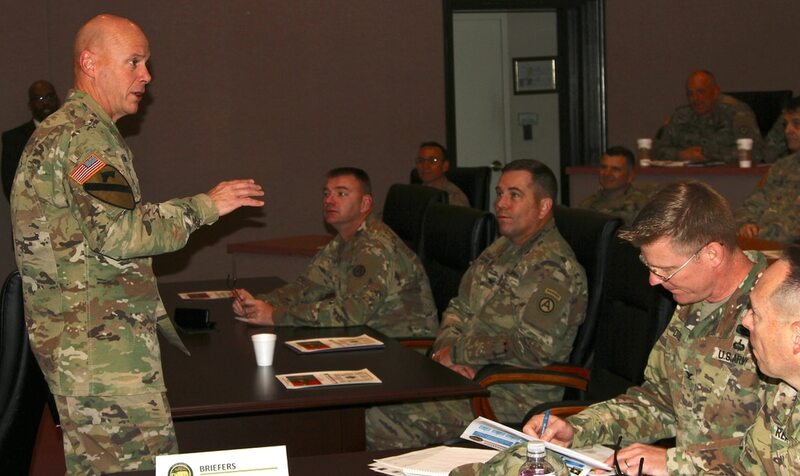 Things move quickly in cyberspace, and so the Army has been hard at work trying to find solutions in regard to training and organizing for emerging cyber and electronic warfare. Maj. Gen. John Morrison, commander of the Army Cyber Center of Excellence at Fort Gordon, Georgia, highlighted some of the flashpoints for progress within the last year during his opening keynote address at TechNet Augusta. “What a difference a year makes,” he said, prefacing the varying points of progress. “If you would have talked to us last year, we were training basically lieutenants in cyber school. Today we’re training all three cohorts — officers, warrant officers and this afternoon we graduate our first enlisted course. Reading is the most common recommendation for Army self-development. Even in my doctoral research with Northcentral University (Annis, 2016), I would often get the single word reply of “read” from senior officers when I asked for recommendations for practical self-development techniques. While on the surface it may seem like a simple and straightforward advice, the meaning and techniques of the term “reading” vary greatly. I would even assert that a new term specific to how warfighters engage in reading for self-development might be required. In this article, we will examine the terms and approaches to reading to maximize its utility for military self-development. Reading in its simplest definition might be said to be the translation of written characters (in our case, letters) into spoken word. While we have developed the ability to now read silently, the intent remains the same. Can you take marking on a parchment and translate them into the message that would have been spoken by the author? While we take this skill for granted in the modern era, the act of reading would have been perceived on the level of magic in days of old. If one thinks about it, it is the ability to re-animate the words of the dead or in some ways an act of time travel back into the past when the words were written. It is this ability to translate written text into spoken word (often read silently) that is referred to when someone might ask if you know how to read. But the ability to translate symbols into spoken word is not what is being implied when senior officers suggest their Soldiers “read” as a form of self-development. 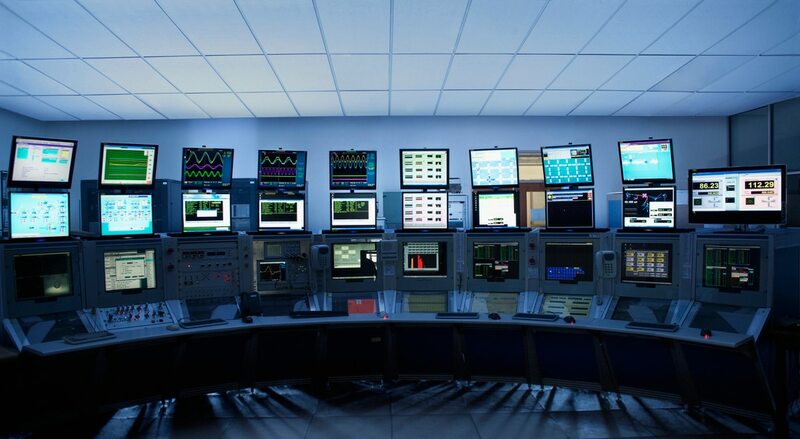 The norm to protect the public core of the internet, originally advocated by the Netherlands Scientific Council for Government Policy, can be operationalised in two ways. Both a layered approach and a functional approach to defining the public core of the internet provide productive ways to discuss safeguarding the functionality and integrity of the core logical and physical infrastructure of the internet from unwarranted state interventions. This brief discusses the tensions between the concept of ‘the public core of the internet’ and those of state sovereignty and national security. It describes two tiers of objection to the protection of the core internet infrastructure and suggests ways to mitigate them. It concludes that even though there are no easy answers to national security in the cyber age, in the long run, reducing ambiguity in cyberspace will benefit all states. Lifting the public core of the internet out of that ambiguity would be a good starting point. This brief engages with some of the arguments and discussions about the concept of ‘the public core of the internet’ and the proposed norm to protect it that were coined in the 2015 report, The Public Core of the Internet: An International Agenda for Internet Governance by the Netherlands Scientific Council for Government Policy (Wetenschappelijke Raad voor het Regeringsbeleid or WRR). Since then, this author has debated the concept in various venues and conferences across the world, and can now offer answers to some of the questions and criticisms that have been raised. Section 2 will briefly set out the concept of ‘the public core of the internet’ as introduced in the WRR report and will highlight how the concept has been taken up in other initiatives and by other public and private actors. 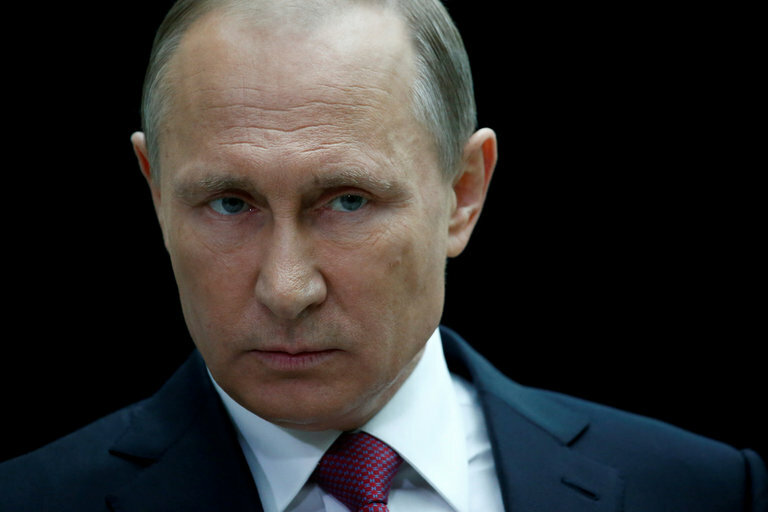 Does the west have reason to worry that the Russian authorities have penetrated its communications networks and used the information for malign purposes? Declarations by US intelligence agencies in 2016 suggested that the case is clearcut. Russia stands charged with systematic malpractice, including the manipulation of American public opinion in favour of Donald Trump’s campaign for the presidency. The US Senate reacted with a bill on economic sanctions, supported overwhelmingly, which the president felt obliged to sign in the interests of “national unity”. Events are beginning to overwhelm even him on the Russian question. Until now Trump has pitched his tent in the camp of the advocates for a positive reset in Russia-US relations. No American, not even Henry Kissinger, has hammered the tent pegs so deep. When Trump met up with Vladimir Putin at the G20 summit there was a visible warmth of mutual feeling. Trump appeared satisfied after Putin denied that his people had probed the American political establishment with untoward intent. Apparently Putin’s word should be accepted without cavil. Others in America have drawn the opposite conclusion, but surprisingly few have taken proper notice of what has been going on at the Defense department this summer. At the centre of the affair is the Kaspersky Lab. This is a private company whose business lies in providing anti-virus protection to the world’s highest bidders. With large offices in New York and London, it has acquired a global reputation for fending off hacking activity. According to its brochures, Kaspersky can swat down electronic intruders like drugged mosquitoes. Hence why the Pentagon paid out for the company’s help. More so now than ever, information is playing an outsize role in military capabilities and being rolled into conventional elements. A U.S. Army memo, obtained by sUAS News and published online, ordered Army personnel to cease all use of Dajiang Innovation products, uninstall all DJI applications, remove all batteries/storage media from devices, and secure equipment for follow on direction. The memo stated that DJI Unmanned Aircraft Systems are the “most widely used non-program of record commercial off-the-shelf UAS” used by the Army. A spokesman for DJI said the company was willing to work with the U.S. military and other organizations to assess the security issues.